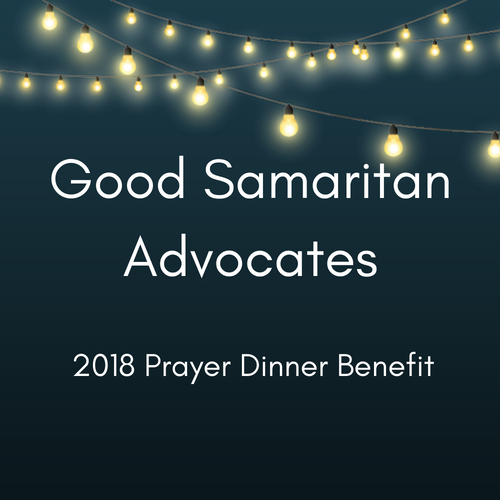 We invite you to a night of food and fellowship, as we celebrate God's faithfulness to Good Samaritan Advocates' ministry and pray for the year to come. Come hear noted speaker and author Hugh Whelchel share how we can help build the biblical vision of a flourishing community in our region. Hugh Whelchel is the Executive Director of the Institute for Faith, Work, & Economics, a Christian organization promoting biblical and economic principles in helping people integrate their faith and vocational calling. Previously, Hugh came from a successful business career in the IT industry and served as executive director of Reformed Theological Seminary’s Washington DC campus. Hugh earned a B.A. from the University of Florida and a M.A. from Reformed Theological Seminary. As an ordained ruling elder in the Presbyterian Church in America, he serves in leadership at McLean Presbyterian Church. In what spare time he has, Hugh enjoys hiking, golfing, and restoring old sports cars.